What a darling way to make an entire display out of one of your flameless candles. 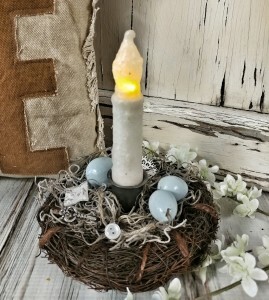 This sweet handmade birds nest is filled with so many goodies that momma robin found on her journeys...fabric, lace, button and a little key tucked in along with her 3 eggs, it will add a unique charm to your candles. it is approx. 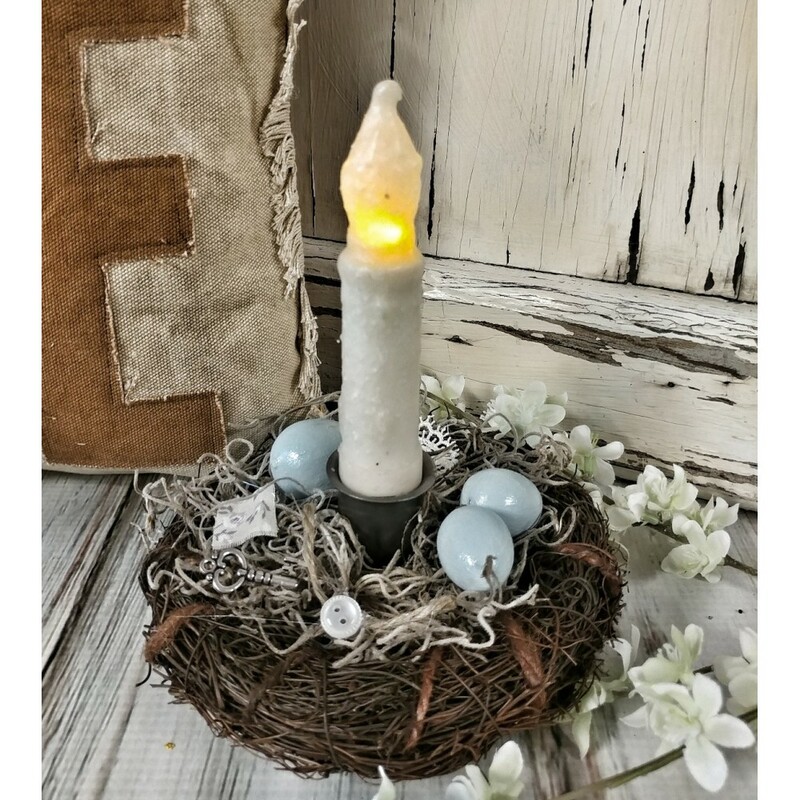 5" in diameter and holds a taper candle, which is not included.